We’ve always had a poetic ethic and human element to what we try to write and put forward. It’s a humanistic rock band and kind of a romantic, poetic rock band at the same time. So we broke the mold a long time ago. Now the revolutionary act is to have kindness and humanity. "Our music is healing, but these doctors are the true rock stars out here. They're rocking the world." 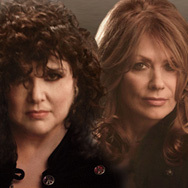 Sisters Ann and Nancy Wilson were the creative spark behind Heart, a hard-rock group who initially found success in the mid-’70s, only to reach greater heights after engineering a major comeback a decade later. The daughters of a Marine Corps captain, Ann (born June 19, 1950) and Nancy (born March 16, 1954) grew up in both Southern California and Taiwan before the Wilson family settled in Seattle, Washington. Throughout their formative years, both were interested in folk and pop music; while Ann never took any formal music lessons as a child (she later learned to play several instruments), Nancy took up guitar and flute. After both sisters spent some time at college, they decided to try their hand as professional musicians, and while Nancy began performing as a folksinger, Ann joined the all-male vocal group Heart. Based in Vancouver, British Columbia, Heart was actually formed in 1963 by bassist Steve Fossen, and friends Roger Fisher and Mike Flicker; initially dubbed the Army, they later became White Heart before settling on simply Heart at the beginning of the 1970s. 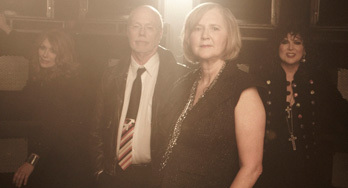 After her arrival in the group, Ann became romantically involved with guitarist Mike Flicker; when Nancy joined in 1974, she in turn began a relationship with guitarist Roger. 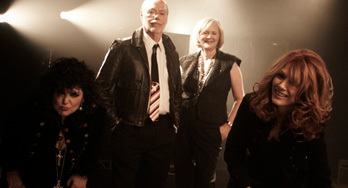 Soon after Nancy’s arrival, Mike Fisher retired from active performing to become the band’s sound engineer. After gaining a following in Vancouver, Heart was approached by Shelly Siegel, the owner of the Canadian label Mushroom; augmented by keyboadist Howard Leese and drummer Michael Derosier, they recorded their debut album, Dreamboat Annie, in 1975. After selling more than 30, 000 copies north of the border, Mushroom issued the LP in the U.S., where it quickly achieved platinum status on the strength of the hit singles “Crazy on You” and “Magic Man.” In 1977, Heart jumped ship to the CBS affiliate Portrait, resulting in a protracted legal battle with Siegel, who in 1978 released the unfinished LP Magazine on Mushroom shortly after the band issued its true follow-up Little Queen on Portrait. The single “Barracuda” was another massive hit, and like its predecessor, Little Queen sold over a million copies. After 1978’s Dog and Butterfly, both of the Wilson/Fisher romances ended, and Roger left the group. In 1980, Heart issued Bebe Le Strange; following a lengthy U.S. tour, both Fossen and Derosier exited, and were replaced by ex-Spirit and Firefall bassist Mark Andes and former Gamma drummer Denny Carmassi. After 1982’s Private Audition and 1983’s Passionwerks slumped, the group was largely written off by industry watchers, and moved to Capitol Records.